All meetings and consultations are by appointment only. Please contact us to reserve a meeting time. We are located in Orleans Plaza, off of New Orleans Road, on the South End of Hilton Head Island. 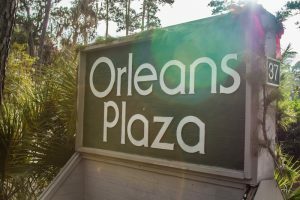 If you are looking at the Orleans Plaza complex from the street, we are on the far left side of the complex, on the second floor. We have a sign on the building itself to assist with locating our office. Our office is located in Suite V. If you are driving to our office from off of Hilton Head Island, you may find it more convenient to utilize the Cross Island Parkway, which is a toll-road, as a time-saver.